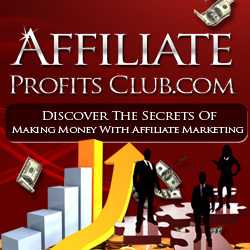 You are here: Home / Make Money Online / Is Affiliate Marketing Good for Beginners? There are so many things to learn in the world of online marketing. Beginners can easily become overwhelmed by all of the various business models, tools, and courses they can learn from and implement. Affiliate marketing is perfect for beginners to embrace because it cuts down on the learning curve substantially. Instead of having to learn everything about online marketing from a soup to nuts perspective, you can simply chop off the product creation elements and pick up with the post-creation promo strategies. You can get started without a website. This is a big blessing to many beginner affiliate marketers who want to set up some promotions, but don’t yet know the ins and outs of domains, hosting and blog setup details. You don’t need to learn product creation skills. The hassle of product development, automated delivery to the customer, and subsequent customer service issues is very draining to someone who is a beginner online. You will need to learn niche research skills. If you choose a niche that you enjoy or are passionate about, it will make the niche research portion very enjoyable. You’ll want to tackle this aspect of affiliate marketing like an adventure – where you’re always discovering new information and sharing it with your audience. You’ll want to understand SEO (Search Engine Optimization) if you have a site of your own. Some affiliates do start out with their $10 or so domain and under $10 a month hosting account – just so they won’t have to do this step later. When you start out this way, or really even if you’re using free platforms, you’ll want to learn the very basic steps associated with SEO. That means understanding keywords and using them in your content creation to attract the right people to your affiliate offers. Mastering the art of reviews will serve you well as an affiliate. Forget about being a professional writer. Just being casual in your conversations online is what helps buyers trust you and be willing to part with their money. Beginners do very well in affiliate marketing if they keep their ethics intact. Sometimes, desperation for a quick income can cause you to compromise your beliefs. But if you do that, you’ll shoot yourself in the foot because you’ll be building a reputation as a scammer instead of a leader. Don’t be afraid to ask for help as an affiliate whenever you get stuck. There are many people online who are willing to explain things and hold your hand through the newbie stage of affiliate marketing.